Cool! I’m going to have to place an order now. Got my hoodie sweatshirt . Love it. got my 2 tee shirts, very nice. Where are the pics of the shirts in the flesh? Have you seen some of us?? No flesh pics please! Just over a week turnaround. Good quality tee's. Thanks! Baseball caps would be cool too. I will check into it...Also, with autumn officially here and cool weather on the way, would people be interested in additional long sleeve or seasonal options? 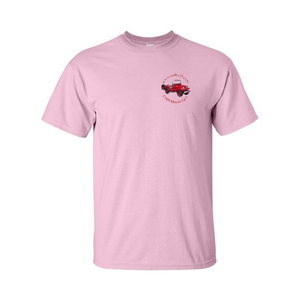 Just ordered a couple shirts. Wow this is great! My Jeeptoberfest 2004 shirt is getting a bit worn after 14 years! 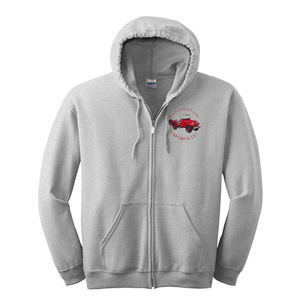 There is also a tailgate hoodie with beer pocket and bottle opener - all in a selection of colors and for men and women. 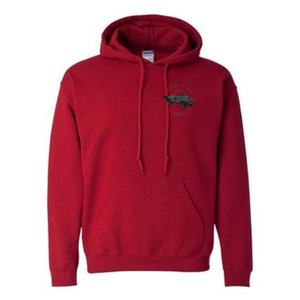 There are also crew-neck sweatshirts as well. I will ask about getting some long sleeve shirt options as well as hat options. Long sleeve t-shirts are now available...continue to use the link in post 1. Hats are a lot more complicated and unless we have a groundswell of interest its not very feasible. Cap-n-Cray and Focker like this. When you click on the link it states that the sale is no longer active. 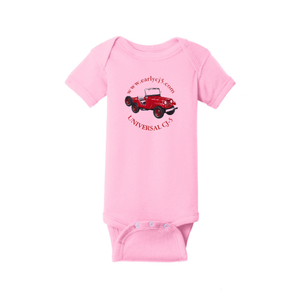 Sorry...we took the site down for some software upgrades to the online store after the holidays. We will get it back up and running reasonably soon. If you have a gift type deadline coming up let me know...I can get you in direct contact with the store to place your order. Thanks! Okay - we are ready to have the online ecj5 store back-up and running....It would be preferred by the store owners if we could have the online store available for specific time windows throughout the year. We are looking at April 1-30, July 1-31, and Nov 1 - Dec 12 (about when you can still get stuff delivered for Christmas Holiday). How does this sound to everyone? Chris Insull, Cap-n-Cray and Nebr1957CJ5 like this.